Welcome to the Millington, Michigan Lions Club web site. We hope you visit our site often to learn of our most recent events and projects. 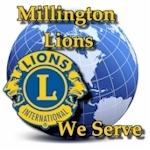 The Millington Lions Club was founded in 1965 and is dedicated to community service, eyesight and hearing preservation. We are affiliated with Lions International which is comprised of 1.40 million members in 46,000 clubs world wide. Lions Clubs International is the world's largest service organization. The Lions Club motto is "We Serve". Please contact a member of our Lions Club to discover the benefits of Lion membership and the pride and satisfaction that results from community service. A Special Thank You To Our 2018 Golf Outing Sponsors.